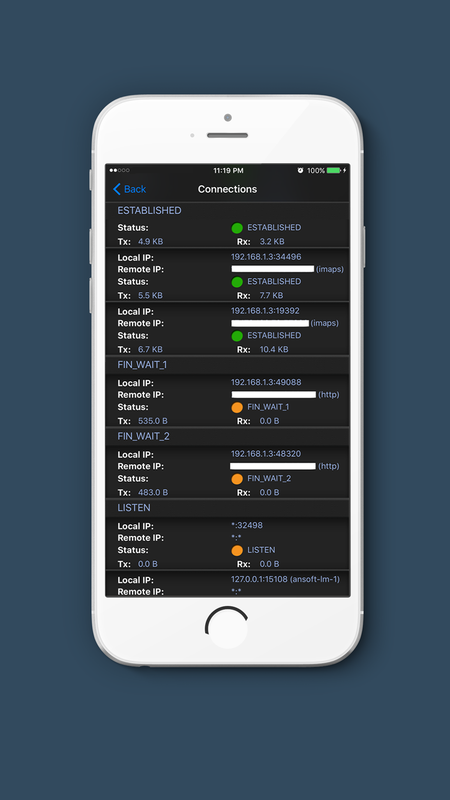 Monitor your network traffic in depth on your iOS device! The only app that gives you the ability to monitor your network traffic in depth. 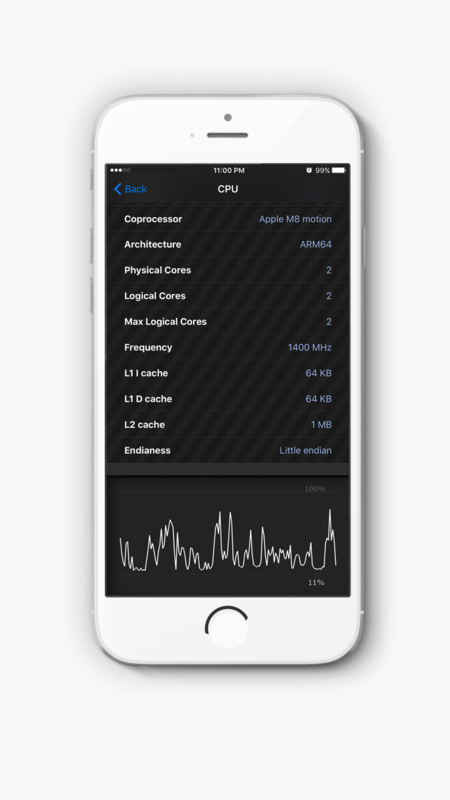 Have you ever wanted to monitor your network traffic on your iOS device? Well, that's the app you were looking for! Monitor your network traffic in depth by checking local/external IP's, ports, status of established/listening connections* and data (Transmit/Receive). Check your network status info like internal, external and broadcast IP's, your subnet mask and the usage for your Wi-Fi and Cellular network (download/upload rates) in a real-time detailed graph! Take a look on your RAM, CPU & GPU with tons of information like wired/active/inactive memory, L1/L2 cache and GPU Vendor and much more! *There's a limitation by iOS 10 and TCP connection points cannot be previewed. Can i view the live traffic of my network? Yes, by tapping on "Network" option, you can view all you network info with your traffic in a high-detailed live graph. 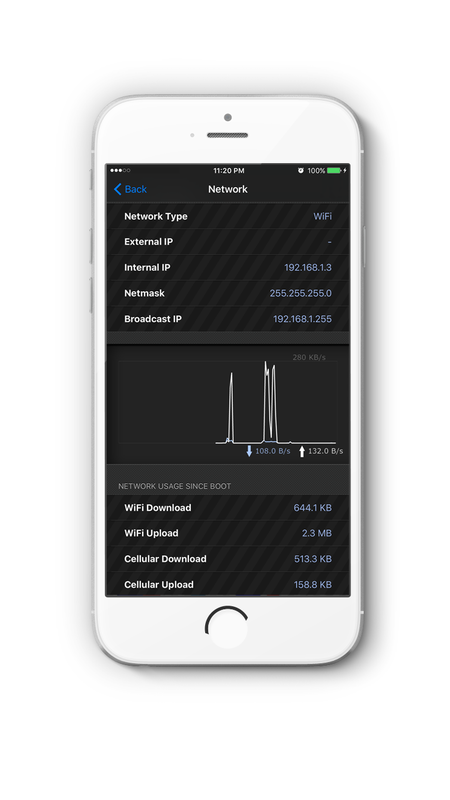 You can also view your downloaded/uploaded data from your WiFi/Cellular connections. How can i check the connected points from my iOS device? How can i monitor my RAM, CPU & GPU usage? Select the corresponding option and you will be able to view live graph representation of these elements along with useful info for your usage. How can i monitor my battery & storage info? Select the corresponding option and your batter & storage info will show up with a lot of details to investigate.